My lovely mother came out and spent just over a week with me in early December. 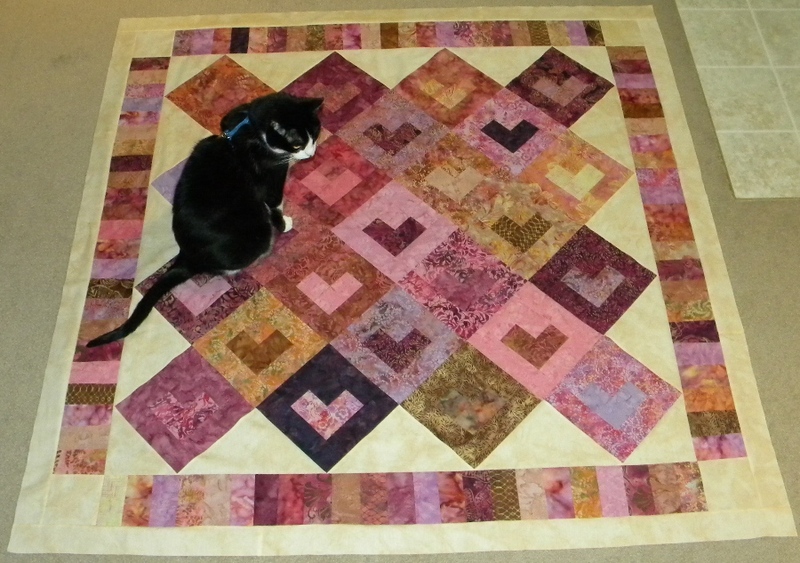 We managed to get a “baby” quilt done during the course of the visit. 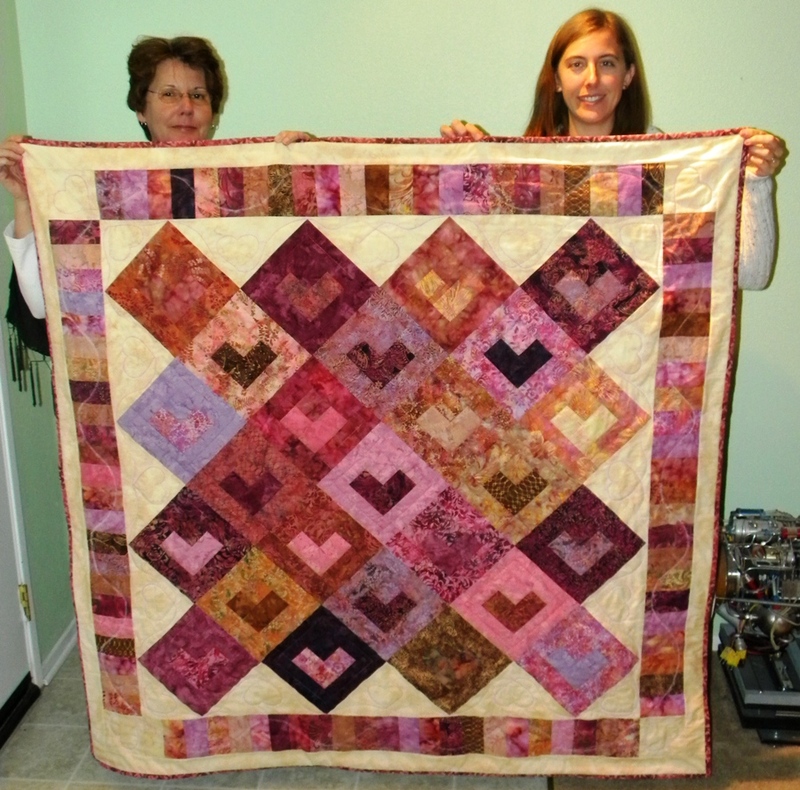 It is a bit bigger than a real baby quilt (56″ x 56″), so I feel like it was a great accomplishment. 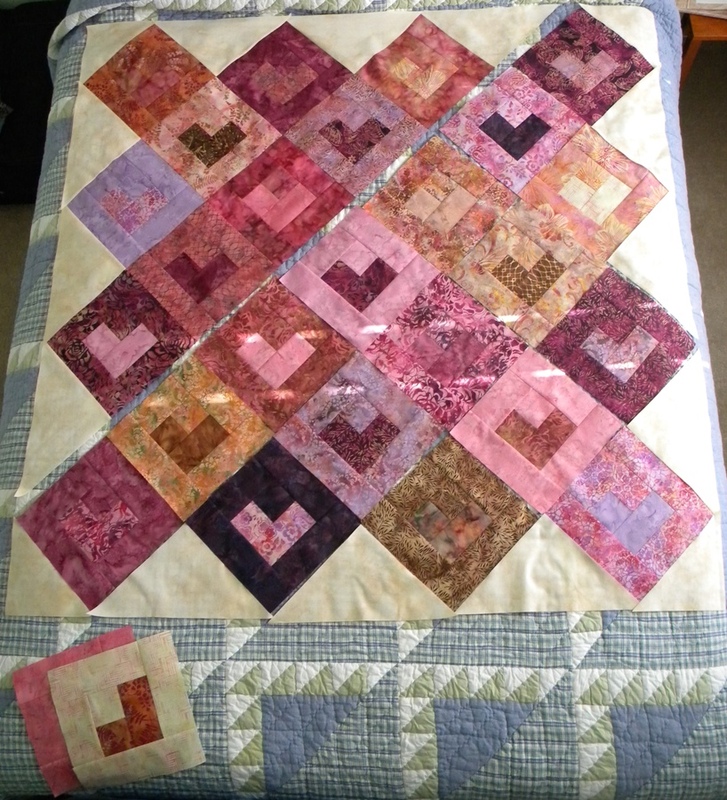 This quilt is for the 3rd grandchild of one of my mother’s good friends. My mom has made a quilt for each of the previous grand-babies, and it just seemed like a wonderful excuse for a visit and some quilting! Why not, right? Once we got it all washed up, here is a closer look at the quilting detail, backing and binding. It’s cute and I hope the family and new baby enjoy it!